Preschool Classes 18 mo. - 3 yrs. ​Register for the class of your choice and try it out. 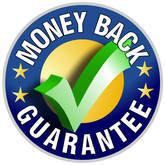 If you are not 100% satisfied with the experience, we will refund your tuition fee in full! (Applies to first class only). Monkey & Me is a class designed for parents and kids, ages 18 months to 3 years old, to play and have fun together while exploring new ways to move and climb and swing and roll. Kids in this age group are very attached to their caregivers and need you to guide them through this class. It’s great bonding time. Please feel free to crawl & roll around with your child. There is a HUGE developmental range in this class, therefore there is no right or wrong way to “do a circuit”. If you are having fun, and the kids are smiling and laughing then you are “doing it right”. When kids are around 3 yrs old, and able to do the circuits pretty much by themselves, they are ready for Tumbleweeds. There is no rush though. Stay and play a while. ​Classes are limited to 6 gymnasts. ​Tuition prices listed are monthly. Much like Monkey & Me, Tumbleweeds is a class where the kids are exploring without their parents. Separation from parents is a big thing for a 3 yr old so we ask that someone they know remain within sight of your child for the whole class. This is especially helpful for times when a child needs to use the restroom. We cannot leave a class unattended in order to take a child to the restroom so we have to take the whole class and lose precious gym time. Focus of this class is on learning to listen and follow directions, building self-confidence, working on gross and fine motor functions, learning self-discipline, learning how to wait your turn and work with other kids, conflict resolution, and many other life skills that help your little one get ready for preschool. Oh yeah, and we learn some cool gymnastics skills too! When kids are able to do the circuits, in order, with minimal re-direction and show good self-confidence and control they are ready for Kindergym. Once again there is no rush, stay and dance with us. Classes are limited to 6 gymnasts. Kindergym is a class designed to be a transition from the play based Tumbleweeds classes, to the more structured and skill intensive developmental gymnastics classes out in the “Big Gym”. The skills being taught in Kindergym are the same skills being taught in our Pink/Orange and beginning boys classes, just on smaller, more age appropriate equipment with more age appropriate activities. It is very important that the child is ready socially, emotionally, and cognitively in order to participate safely and have success in the “Big Gym”. The only requirement to move out of Kindergym is to have your 6th birthday. You can switch to a class out in the “Big Gym” any time between your 6th and 7th birthday, but all 7 year olds must take classes in the “Big Gym”. Upon entering a class in the “Big Gym” your child will be evaluated to determine the level that will best fit their skill level. We want your kids to have fun and succeed. We can keep them where they will be successful until they are ready to go on. Often times this also depends on the time of year when your child turns 6.